Silver Keys Media is based in Vancouver, WA which gives us the pleasure to work with clients all over the great Northwest…and beyond. Of course you do, we all have a story. Sometimes it just takes a different perspective to uncover the hidden gems that make your company unique. We have the tools to help you unlock your story and create ways to tell that story in a dynamic and intentional way that will create a community of followers. Need loyal clients and supporters? Well then tell your story…get it out there! Through story-telling you will attract individuals that will be loyal because they will connect with you on a deeper level. We are past the age of marketing that razzels and dazzels, people are looking for more meaning behind where they put their hard earned money. Brand loyalty is built on an emotional connection between a company/organization and their fan. Compelling images and dynamic video (that tell the world why you do what you do), are the necessary tools to attract attention and inspire. Why is Silver Keys a Good Fit? We are the culmination of creative direction, marketing strategy, video production, dynamic photography, and intentional storytelling. Owner and Creative Director, Amanda Goff, has a passion to help people tell their story visually and brings to the table creative experience in film, theater and marketing. Hi, I am Amanda Goff, owner of Silver Keys Media. I am often asked where the name originated and it really is inspired from my childhood. 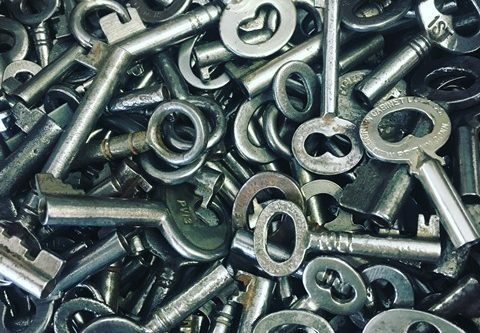 While growing up in California, my grandmother had a frame in her parlor that contained a collection of antique keys. I would spend many afternoons staring at those keys and wondering what they unlocked and what magical adventure they may lead to. That magic has stayed with me…We all have stories, sometimes it just takes the right key to unlock it and set it free to be shared with others.